Silk-effect white doors. Wall unit doors with 0.4 cm thick, tempered, Desag glass panels. Brushed silver finish Elite Arco handle. Honed matt white, 4 cm thick, Carrara marble top with Elite shaped edge. The island has an impressive and practical open element with a bottom shelf made of natural beech slats. 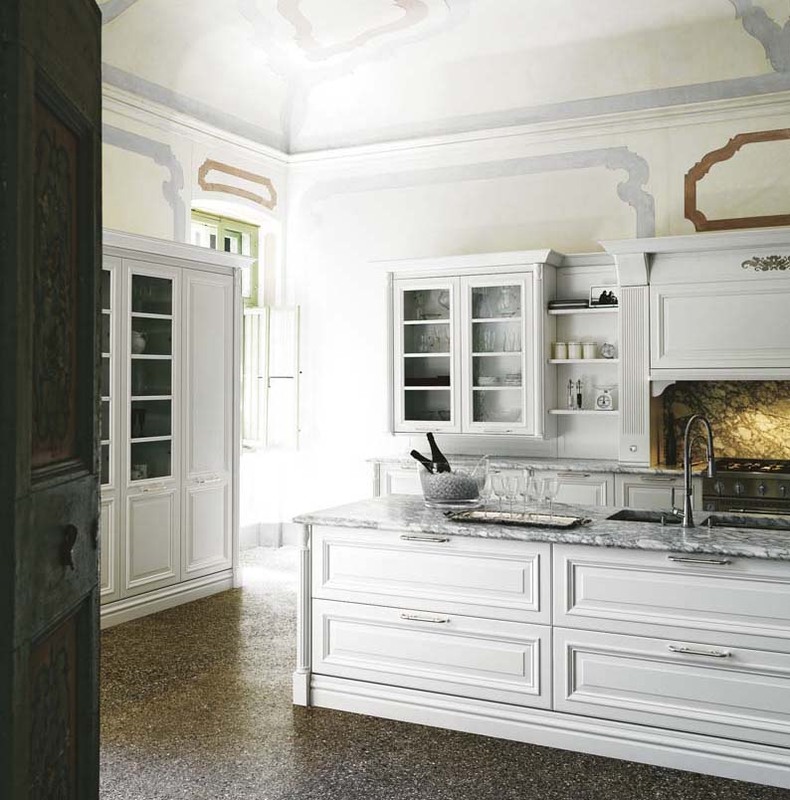 The top in honed matt finish, white Carrara marble gives the environment a touch of great class. Elite takes extraordinary care over details, such as the door molding, the delicately shaped edge of the marble top and, lastly, the slim fluted pilasters with amphora-shaped capitals that stand alongside base, wall and tall units.